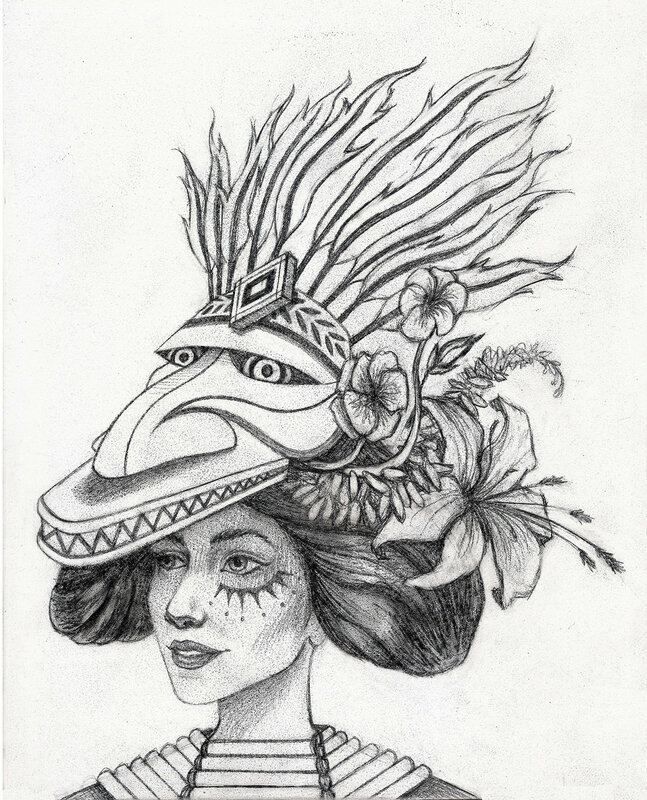 My portrait painting of a Tribal Goddess, Divinity, Deity, inspired by Native Tribal Culture. My portrait painting of a Tribal Goddess inspired by Goddess Religion, which the Serpent is symbolic for. My portrait painting of a Tribal Goddess, Divinity, Deity, Woman inspired by Inuit Native Designs. My portrait painting inspired by tribal face art, Zebras, Flowers, Antlers, Alice in Wonderland, High Fashion and Editorial Art. My portrait painting inspired by Goddess culture. Princess Crown, Headdress and a Fascinator Hat. My portrait painting of a Tribal Goddess, Divinity, Deity, with an Argali Skull Headdress, a Vintage Necklace and Ombre Hair. My portrait drawing of a Woman wearing a Uterus Headdress, with a Tribal Necklace, Red Short Hair and Feathers. My portrait painting of a Tribal Goddess, Divinity, Deity, with Tribal Face Paint and a Vintage Hairstyle. My portrait painting inspired by Papua New Guinea Masks, Geishas, Lilies, Feathers, African Necklace. An Acrylic Portrait Painting I created of a Tribal woman, inspired by Primates, Vintage Jewelry and Geometric Designs.